Has SRI changed from opt-out to opt-in? A lot of people are confused about what is going on with SRI and whether you have to “opt in” or whether it is still up to you to “opt out”. The most significant thing they did was removed the fine print that said, if you don’t return this form your child will be put in the ACCESS run class. So the new system is really should be thought of as “yes or no” – but it is still “opt out” as the classes are “in the time table” and if you don’t want your kid in the class, your kid has to leave the activity timetabled for the class. So it is still “opt out” but saying nothing is not the same as saying yes! So in theory at least, SRI is not something you get into without saying “yes”. However, out here in the “real world” – what happens is that the ACCESS coordinators, organized by staff paid for by the DEECD work with the schools to market CRE as something that you should do. As you can see this school has done nothing to advise parents what will be done if they don’t sign up – and the form is designed as a permission slip, like any excursion form, “Please indicate your permission for Johnny to go on the class trip to the Zoo”. 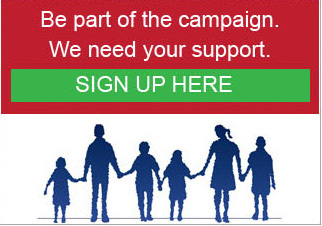 So the typical parent will say, yes, just because they say yes to every permission form for every “incursion” – and also because parents trust the schools – if the school says “this is all approved by the minister of education”, who would question that? 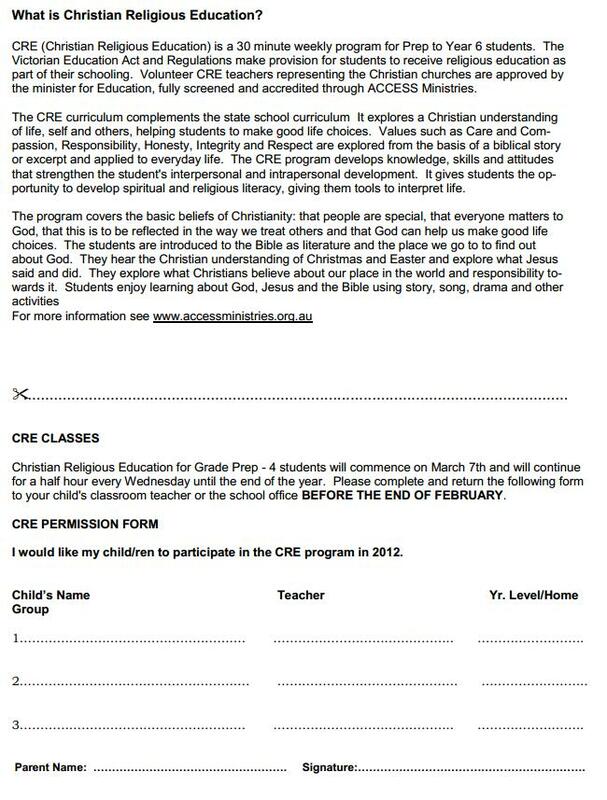 The last thing ACCESS wants is to have this program put out of the curriculum and to ask parents if they really want their kids to attend voluntarily, without the Minister of Education running as their spokesman for quality – this is a clear cut case of using the authority of the government to promote a religious program. This is a form of coercion. It is wrong. my school still uses the old wording which badgers parents with ‘attendance is compulsory unless opted out’. I’ve let them know they should use the new wording.